BlueDri™ is a renowned brand in the commercial industry that offers a blend of high-tech design, effective performance and value. Each BlueDri™ product is designed with the requirements of the commercial water damage restoration professionals in mind. The high-tech design, efficient performance and transportability have made the BlueDri™ equipment line a leading brand in the market. Each BlueDri™ product expertly addresses the specific demands of the water damage restoration project with outstanding results. BlueDri™ offers a comprehensive selection of efficient commercial dehumidifiers, air movers and air scrubbers to complete water damage restoration projects expertly and professionaly. Not only does BlueDri™ ensure effective performance but also provides durability in rugged industrial and commercial environments. All BlueDri™ products correspond to the highest standard of quality, design, value and innovation. 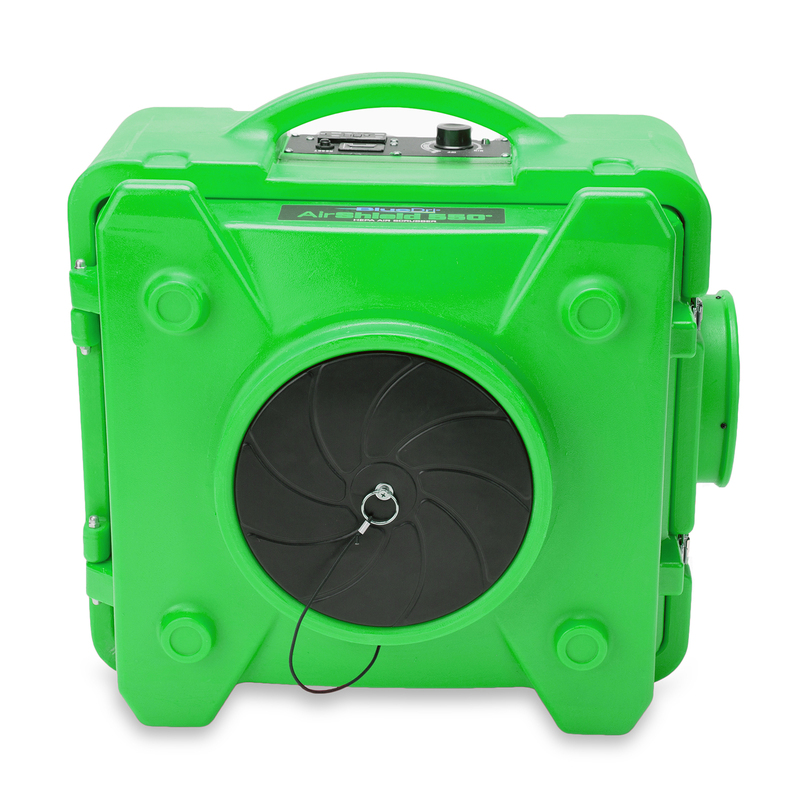 BlueDri™ air movers and designed and manufactured for water damage restoration professional use. The BlueDri™ air movers can handle the toughest jobs delivering quality and efficienty with innovative features such as a 3-speed, a protected recessed switch, three operational drying positions, daisy chainability as well as rotomolded impact resistant housing. These features are complimented with a perfect balance of low-ampreage and high-velocity airflow which make the BlueDri™ air movers ideal for large-scale damage restoration as well as jaitorial or carpet-drying projects. 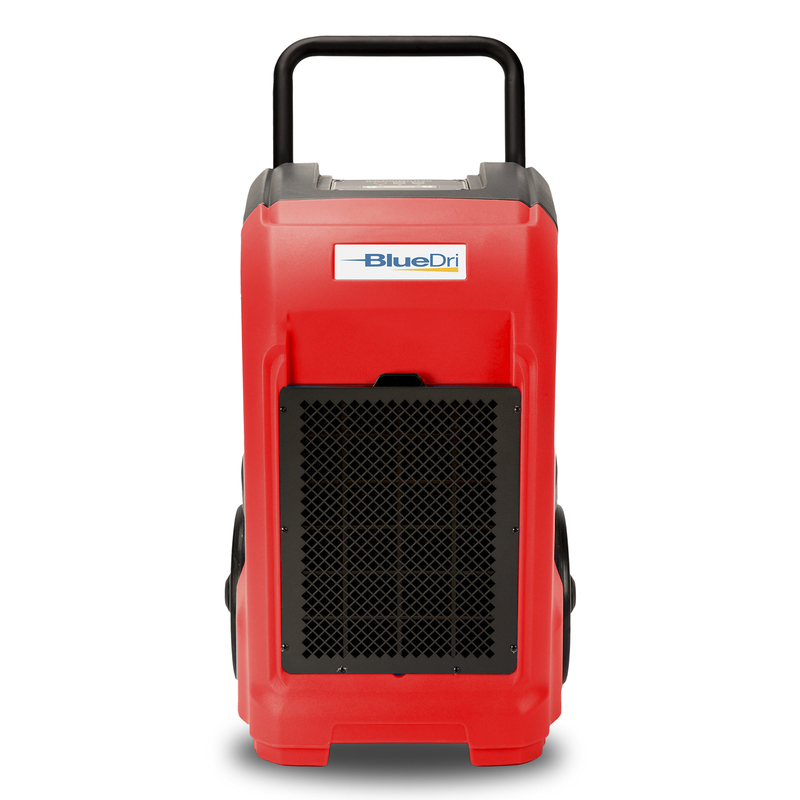 BlueDri™ air movers are stackable, easily transportable and lightweight for their category. 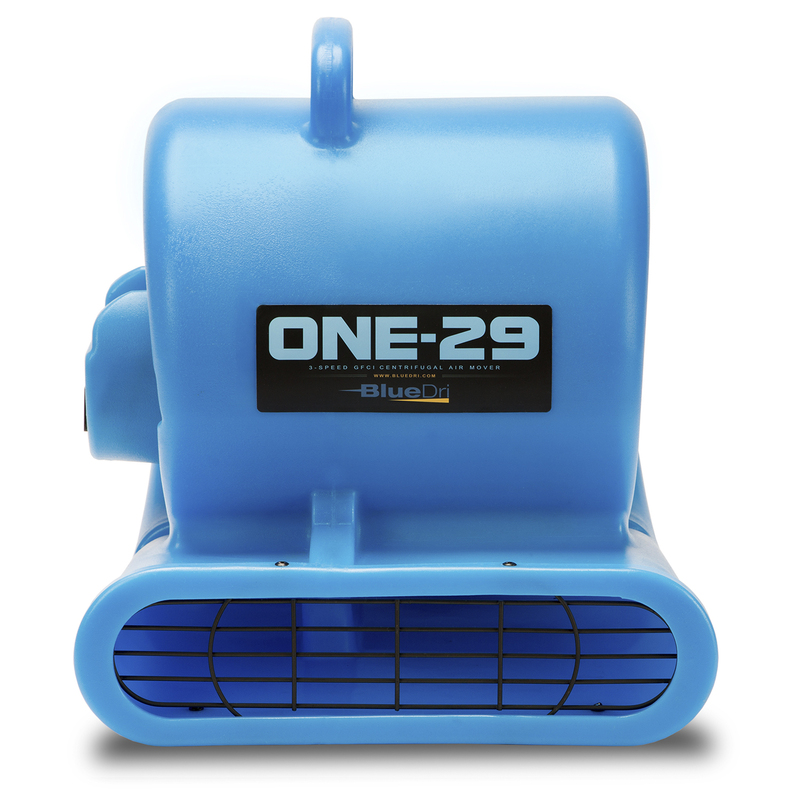 BlueDri™ features two types of air movers: the One-29 and the Jetster. Commercial dehumidifiers play a crucial role in drying the environment and helping to restore water damaged properties. Designed to remove airborne moisture from the air and to prevent the further condensation of air and frost formation, BlueDri™ dehumidifiers are suited for conducting water damage restoration projects with ease and success. With three available sizes of commercial dehumidifiers in the BlueDri™ lineup, you are sure to find the units that are best suited for your restoration job. In additon to water damage restoration projects, commercial dehumidifiers can also be used in a diverse set of environments such as hosptials, food service establishments as well as commercial storage spaces where humidity levels need to the controlled. considerations when choosing an air scrubber is the availablity of filters that remove odor-causing particles and illness-inducing contaminants. When you invest in a BlueDri™ air scrubber, you can be confident that you are aquiring a quality product that can either complement your air movers and commercial dehumidifiers in successfully completing a water damage restoration project or be used as a stand alone product for keeping the air clean and healthy.